Ivan Illich (4 September 1926 – 2 December 2002) was an Austrian philosopher, Roman Catholic priest, and "maverick social critic" of the institutions of contemporary Western culture and their effects on the provenance and practice of education, medicine, work, energy use, transportation, and economic development. Illich was born in Vienna to a Croatian Catholic father, engineer Ivan Peter Illich, and a Sephardic Jewish mother, Ellen née Regenstreif-Ortlieb. His maternal grandmother was from Texas. Illich had Italian, Spanish, French, and German as native languages. He later learned Croatian, the language of his grandfathers, then Ancient Greek and Latin, in addition to Spanish, Portuguese, Hindi, English, and other languages. He studied histology and crystallography at the University of Florence (Italy) as well as theology and philosophy at the Pontifical Gregorian University in Rome (from 1942 to 1946), and medieval history in Salzburg. He wrote a dissertation focusing on the historian Arnold J. Toynbee and would return to that subject in his later years. In 1951, he "signed up to become a parish priest in one of New York’s poorest neighborhoods—Washington Heights, on the northern tip of Manhattan, then a barrio of fresh-off-the-airplane Puerto Rican immigrants." In 1956, at the age of 30, he was appointed as the vice rector of the Catholic University of Puerto Rico, "a position he managed to keep for several years before getting thrown out—Illich was just a little too loud in his criticism of the Vatican’s pronouncements on birth control and comparatively demure silence about the bomb." It was in Puerto Rico that Illich met Everett Reimer and the two began to analyze their own functions as "educational" leaders. In 1959, he traveled throughout South America on foot and by bus. In 1961, Illich founded the Centro Intercultural de Documentación (CIDOC, or Intercultural Documentation Center) at Cuernavaca in Mexico, ostensibly a research center offering language courses to missionaries from North America and volunteers of the Alliance for Progress program initiated by John F. Kennedy. His real intent was to document the participation of the Vatican in the "modern development" of the so-called Third World. Illich looked askance at the liberal pity or conservative imperiousness that motivated the rising tide of global industrial development. He viewed such emissaries as a form of industrial hegemony and, as such, an act of "war on subsistence." He sought to teach missionaries dispatched by the Church not to impose their own cultural values and to identify themselves instead as guests of the host country. "Throughout the late ’60s and early ’70s, CIDOC was part language school and part free university for intellectual hippies from all over the Americas." 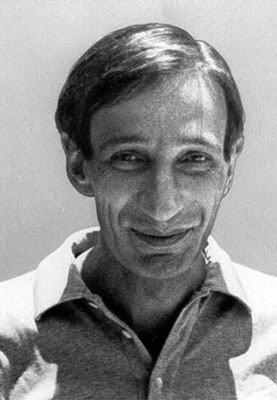 At the CIDOC, "Illich was able to develop his potent and highly influential critique of Third World development schemes and their fresh-faced agents: Kennedy’s Alliance for Progress, the Peace Corps, and countless other missionary efforts bankrolled and organized by wealthy nations, foundations, and religious groups." After ten years, critical analysis from the CIDOC of the institutional actions by the Church brought the organization into conflict with the Vatican. Unpopular with the local chapter of Opus Dei, Illich was called to Rome for questioning, due in part to a CIA report. In 1976, Illich, apparently concerned by the influx of formal academics and the potential side effects of its own "institutionalization," shut the center down with consent from the other members of the CIDOC. Several of the members subsequently continued language schools in Cuernavaca, of which some still exist. Illich himself resigned from the active priesthood in the late 1960s (having attained the rank of monsignor), but continued to identify as a priest and occasionally performed private masses. In the 1980s and beyond, Illich traveled extensively, mainly splitting his time between the United States, Mexico, and Germany. He held an appointment as a Visiting Professor of Philosophy, Science, Technology and Society at Penn State. He also taught at the University of Bremen and University of Hagen. During his last days of his life he admitted that he was greatly influenced by one of the Indian economists and adviser to M.K. Gandhi, J.C. Kumarappa, most notably, his book, Economy of Permanence. During his later 20 years, he suffered from a cancerous growth on his face that, in accordance with his critique of professionalized medicine, was treated with non-traditional methods, such as meditation and yoga. In the last few years, he regularly smoked opium to deal with the pain caused by this tumor. At an early stage, he consulted a doctor—who told him he would live only for 3 months—about having the tumor removed, but was told that there was too great a chance of losing his ability to speak, and so he lived with the tumor as best he could. He called it "my mortality." The book is more than a critique—it contains suggestions for a reinvention of learning throughout society and lifetime. Particularly striking is his call (in 1971) for the use of advanced technology to support "learning webs." According to a contemporary review in The Libertarian Forum, "Illich's advocacy of the free market in education is the bone in the throat that is choking the public educators." Although it is important to note that Illich's opposition was not merely to publicly funded schooling, as with the libertarians, but to schooling as such; the disestablishment of schools was for him not a means to a free market in educational services, but a deschooled society, which was a more fundamental shift. As he later asserted in After Deschooling, What? (1973): 'We can disestablish schools, or we can deschool culture'. He actually opposed advocates of free-market education as "the most dangerous category of educational reformers." Tools for Conviviality (1973) was published only two years after Deschooling Society. In this new work Illich generalized the themes that he had previously applied to the field of education: the institutionalization of specialized knowledge, the dominant role of technocratic elites in industrial society, and the need to develop new instruments for the reconquest of practical knowledge by the average citizen. He wrote that "lite professional groups . . . have come to exert a 'radical monopoly' on such basic human activities as health, agriculture, home-building, and learning, leading to a 'war on subsistence' that robs peasant societies of their vital skills and know-how. The result of much economic development is very often not human flourishing but 'modernized poverty,' dependency, and an out-of-control system in which the humans become worn-down mechanical parts." Illich proposed that we should "invert the present deep structure of tools" in order to "give people tools that guarantee their right to work with independent efficiency." Tools for Conviviality attracted worldwide attention. A resume of it was published by French social philosopher André Gorz in Les Temps Modernes, under the title "Freeing the Future." The book's vision of tools that would be developed and maintained by a community of users had a significant influence on the first developers of the personal computer, notably Lee Felsenstein. In his Medical Nemesis, first published in 1975, also known as Limits to Medicine, Illich subjected contemporary Western medicine to detailed attack. He argued that the medicalization in recent decades of so many of life's vicissitudes—birth and death, for example—frequently caused more harm than good and rendered many people in effect lifelong patients. He marshalled a body of statistics to show what he considered the shocking extent of post-operative side-effects and drug-induced illness in advanced industrial society. He introduced to a wider public the notion of iatrogenic disease, which had been scientifically established a century earlier by British nurse Florence Nightingale (1820–1910). Others have since voiced similar views, but none so trenchantly, perhaps, as Illich. The main notion of Ivan Illich is the concept of counterproductivity: when institutions of modern industrial society impede their purported aims. For example, Ivan Illich calculated that, in America in the 1970s, if you add the time spent to work to earn the money to buy a car, the time spent in the car (including traffic jam), the time spent in the health care industry because of a car crash, the time spent in the oil industry to fuel cars ...etc., and you divide the number of kilometres traveled per year by that, you obtain the following calculation: 10000 km per year per person divided by 1600 hours per year per American equals 6 km per hour. So the real speed of a car would be about 3.7 miles per hour. By "radical monopoly" I mean the dominance of one type of product rather than the dominance of one brand. I speak about radical monopoly when one industrial production process exercises an exclusive control over the satisfaction of a pressing need, and excludes nonindustrial activities from competition.